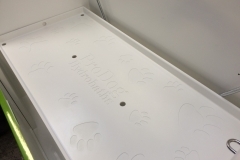 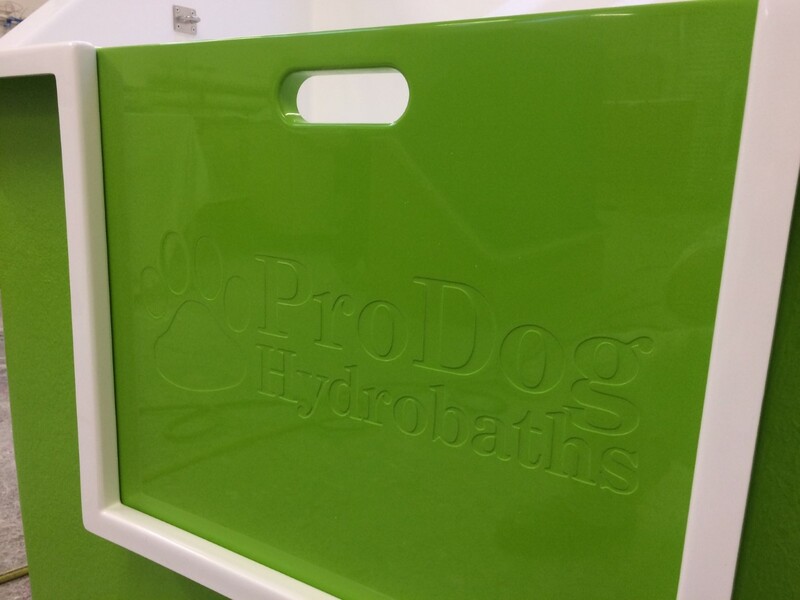 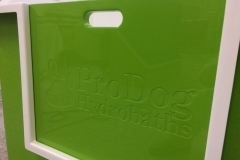 Pro Dog hydrobaths use the most up to date technology and designs within our Hydrobath range. 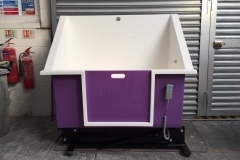 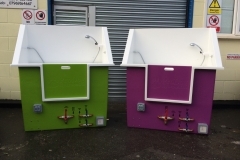 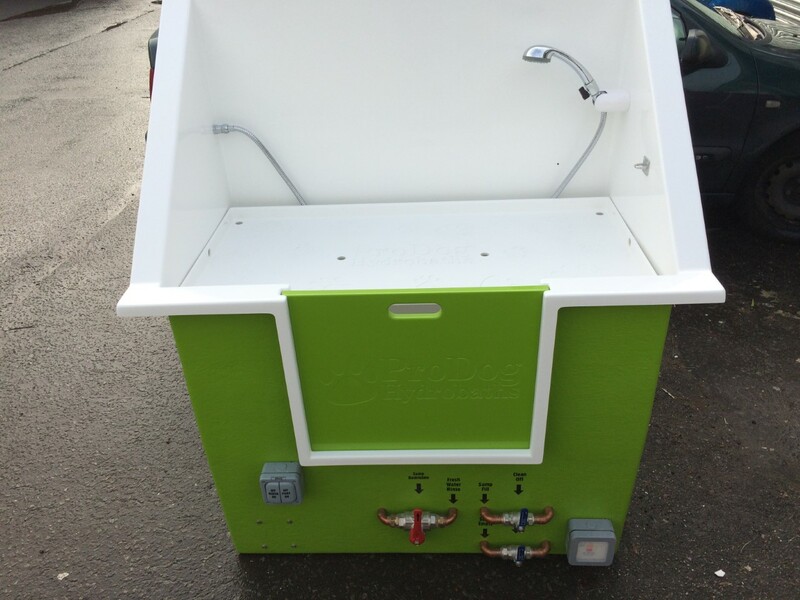 We design and construct our dog baths to your personal needs and requirements, rather than you having to settle for an inferior product made by other manufacturers. 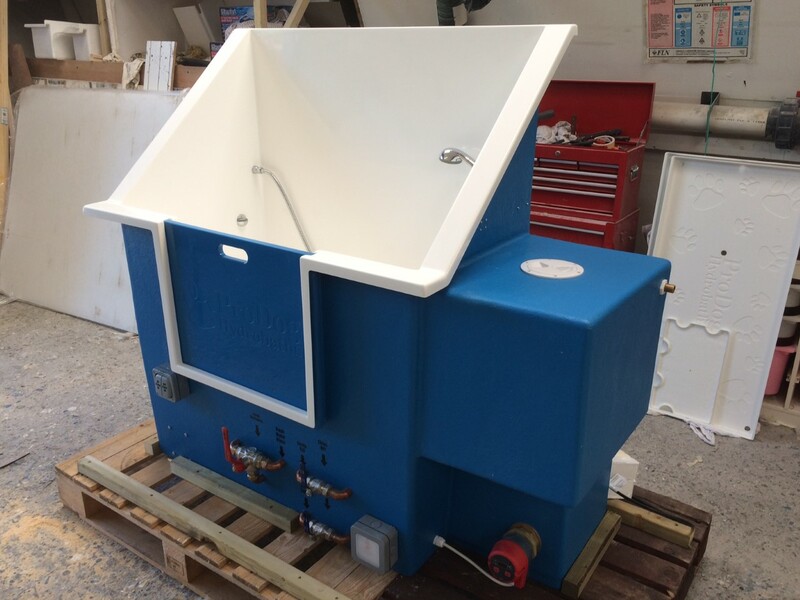 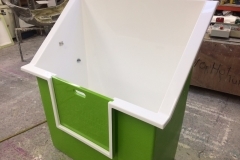 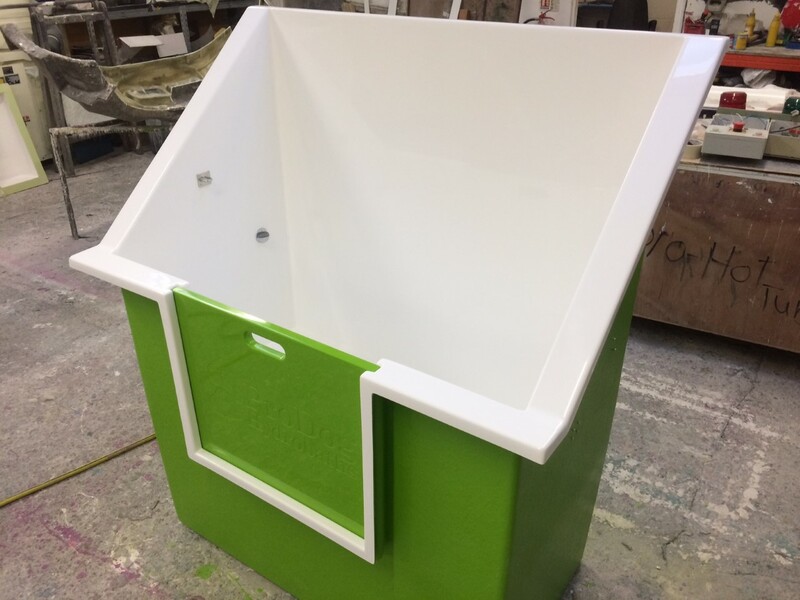 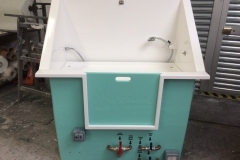 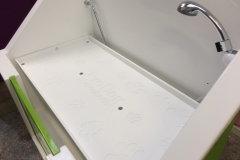 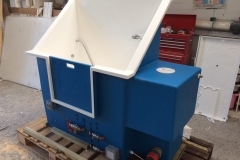 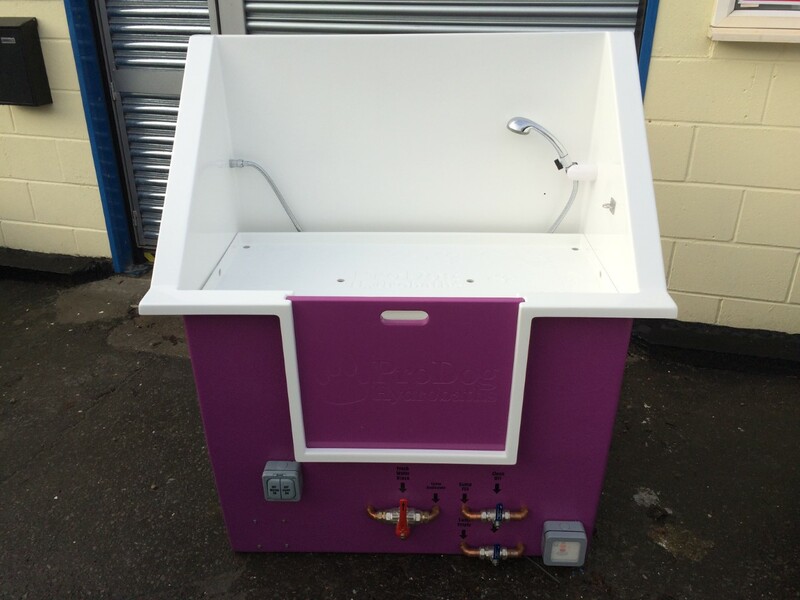 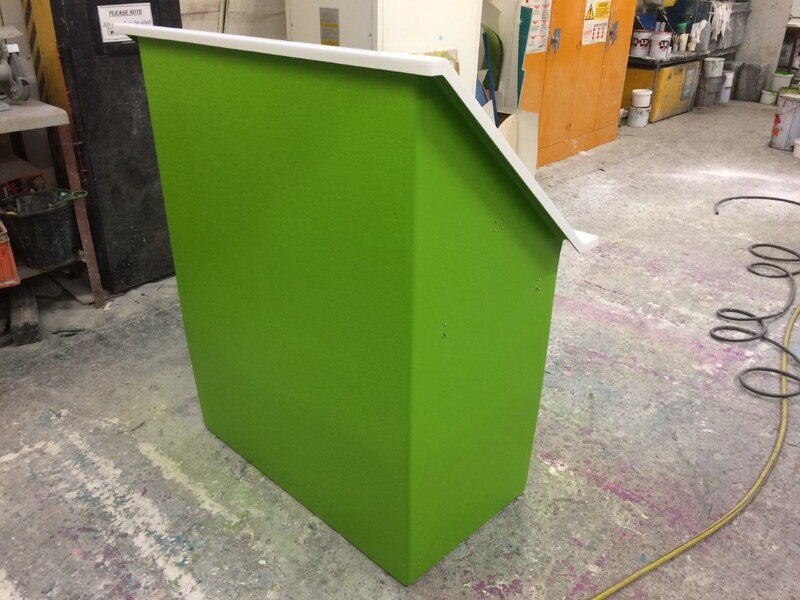 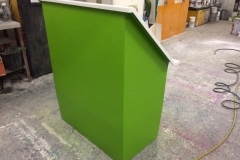 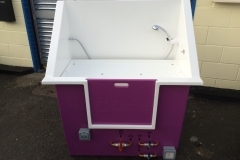 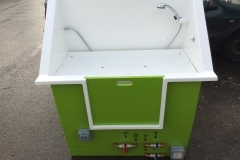 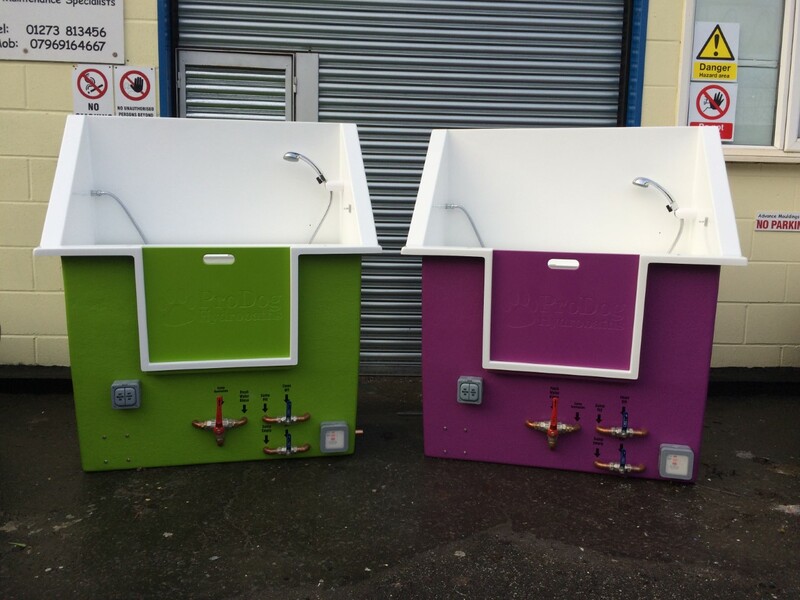 Our high back bath can be purchased as a free standing bath tub, an electric lift bath tub or a hydrobath and can be fitted with either a 90 ltr water tank, our standard 140 ltr water tank or our brand new 190 ltr water tank. 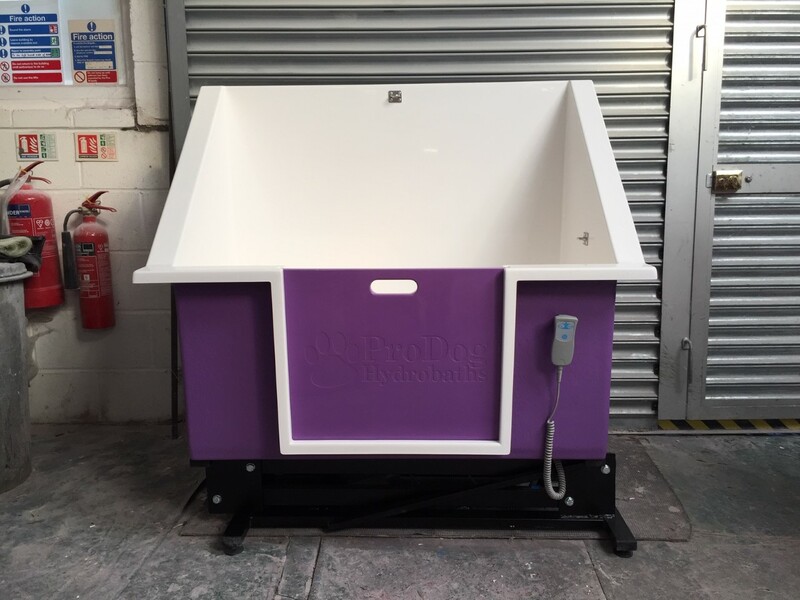 Both our 140 ltr and 190 ltr water tanks have the option of our fantastic Pro Dog quick heat system, which uses a 2kw or 2.5kw digital immersion heater. 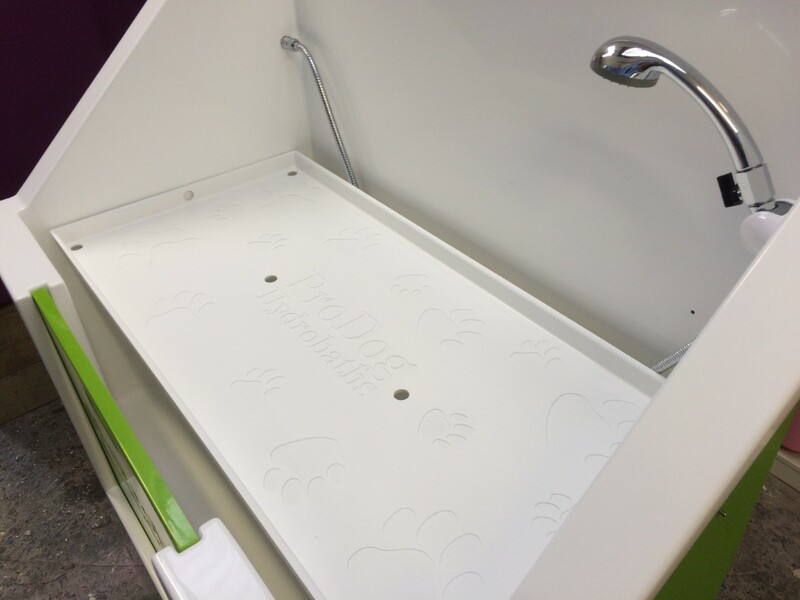 This now heats the water in 15 minutes or less, unlike most other dog baths that can take up to 2 hours or more. 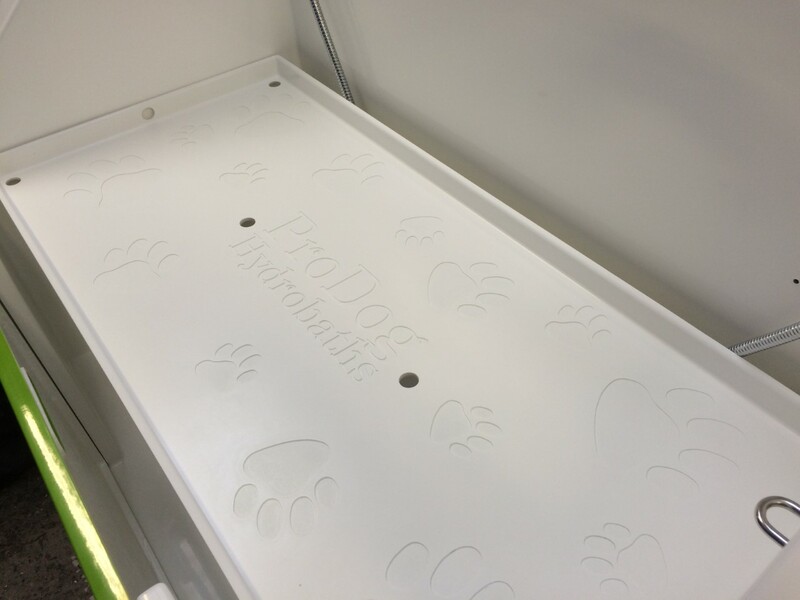 This will provide enough warm water for an average of 6‐10 dog washes a day depending on your tank choice. 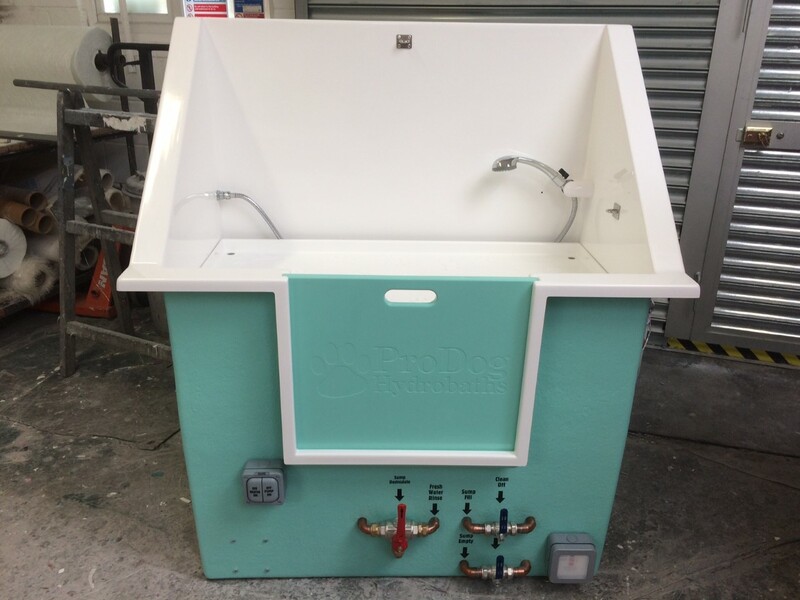 Our latest option is our new and exciting fresh water rinse system, available on all Pro Dog Baths to maximize cleanliness. 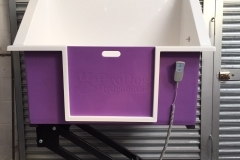 This pumps fresh warm water straight from the water tank to make sure your dog is thoroughly clean!! 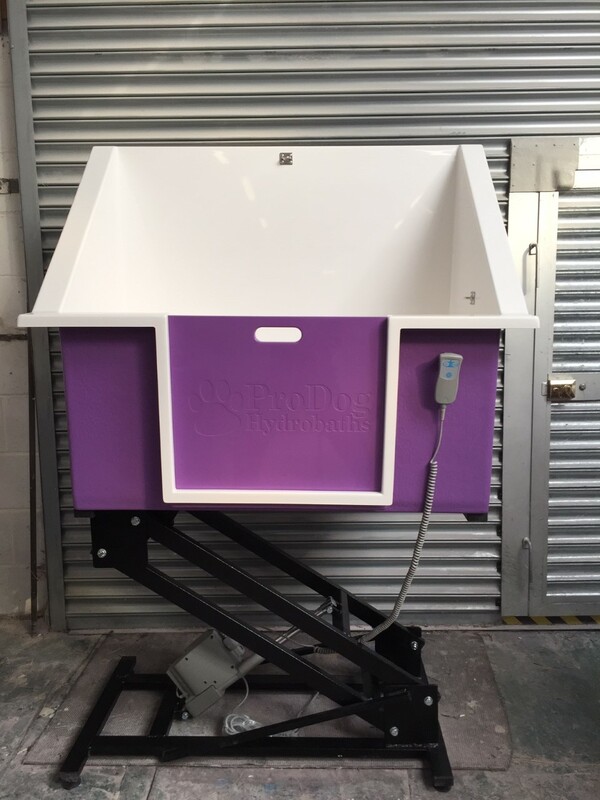 This is an extremely popular choice, as it means the final rinse has no contamination of any soaps etc from the bathing process.